I read yesterday the heartbreaking story of the mother who tossed her 7 year old son to his death from a bridge in Oregon. She promptly called 911 to confess and was still on the phone when a deputy arrived at the scene of the crime. To me, that is even more tragic than the young woman, also from Oregon, by the name of Brittany Maynard, who chose to submit to assisted suicide last Saturday. As you can imagine, a great wave of controversy has arisen over these two events reflecting a wide range of opinions. I, of course, feel that what these young ladies did was wrong, although I, like everyone else, have no right to judge or condemn them. I suppose that both of them acted on the belief that they had no other options. The young mother was overwhelmed with the burden of caring for her autistic son and her ill husband, and the other with a seemingly hopeless and terminal illness. Nevertheless, to me the bottom line is that they gave up on life too quickly. Even worse, they gave up on God. Can you imagine the heartbreak of being betrayed by the people in life in whom you depend the most, like this little boy whose own mother took his life? What about thinking that there is no hope for your situation, so your only recourse is to commit suicide? Brittany Maynard chose assisted suicide because, according to her, this way she would die with dignity. Well, how often do God’s children die without dignity? How can it not be wrong to take our own life when we know, beyond all doubt, that it is only God who gives and takes it? He chose the day we were to be born, and He has chosen the day when He will call us home. Although the situations these ladies were in seemed bleak, and maybe even hopeless from a human standpoint, the Bible offers this promise: “But remember that the temptations that come into your life are no different from what others experience. And God is faithful. 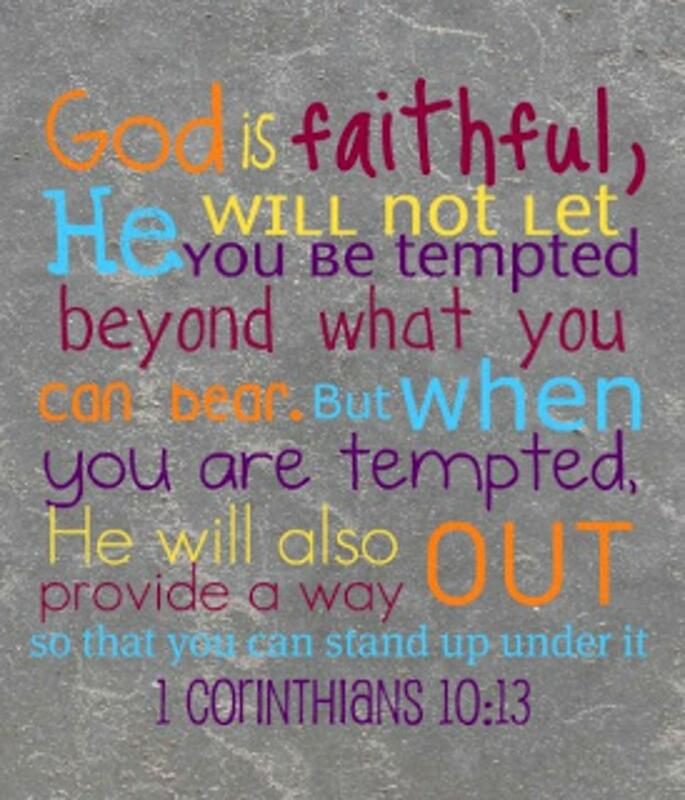 He will keep the temptation from becoming so strong that you can't stand up against it. When you are tempted, he will show you a way out so that you will not give in to it.” (1 Corinthians 10:13 NLT) These two ladies gave up on hope, on the will and purpose of God in their lives, and on the way that the Lord would have helped them had they called on His name. If we truly trust Him, we are more than comfortable knowing that He will direct our lives till the very end and will always be with us no matter what. He will also supply all the grace, strength, and courage to face up to any trial we may encounter. That’s a promise!